And so the response, heard often today, that people just don’t care about the repercussions of their behavior, was exposed as a feeble one, held intact only by sheer bravado and lack of consideration. 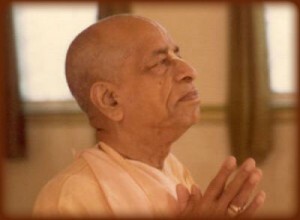 Prabhupada explains, often, that we all have limited free will, eternally. The reality of this is that we each receive the results of both our positive and negative actions—whether we wish to receive them or not. As the saying goes, ignorance of the law is no excuse. Exercising our free will, we can certainly opt for a mood of indifference in life. Nevertheless, when we act without understanding the stringent laws of material nature—we’re in effect being reckless, and must still garner the appropriate reactions from our actions. It’s been our experience that most people desire the “positive” results from their actions, but don’t desire the negative results of their actions. That is, we don’t mind acting in a manner deleterious to our bodily, mental, or spiritual health—but once we have acted poorly, we don’t want those reactions. Bhakti-yoga, in addition to addressing what we all really are, and how we can perfect our existence in this very life—details how the material world operates, and how we can disentangle ourselves from a life of material karma, and come to the spiritual plane of existence. 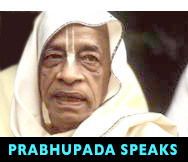 This is an area where I MUST agree with Prabhupada.